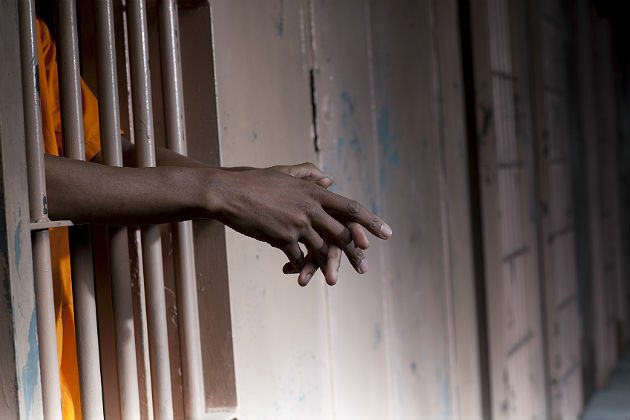 Did you know that more than 75 percent of released prisoners are rearrested within five years? That's according to the Bureau of Justice Statistics. With more than 1 million individuals in prison at the end of 2014, that's a huge number of offenders who will become repeat offenders. The issue of recidivism can often be linked to issues with re-entry. When offenders are returning to society, they need to be prepared — something our current system is not doing. The problem is there's no one-size-fits-all solution. Every offender has a different story, a different offense, a different outcome, a different sentence. Therefore, the return to society will be different for each offender, and the re-entry program should adjust to meet the needs of the individual. With statistics showing the ineffectiveness of typical re-entry programs, organizations are introducing new concepts that could revolutionize the re-entry process for released offenders. On the West Coast, Pioneer Human Services recently opened the Tacoma Residential Reentry Center (TRRC). The 75-bed, co-ed re-entry facility in a 19,000-sqaure-foot warehouse that was previously a furniture manufacturing facility opened Aug. 3 in Tacoma, Washington. The location itself is significant because the size of the building allows Pioneer to bring most services to the facility, rather than having to outsource. When renovating the building, Pioneer made sure to include significant amounts of natural light and air. In addition, the facility is working on a fitness center. These features have been proven to help the re-entry and rehabilitation process by focusing on the overall well-being of the person, not just the one problem that placed them in the facility. On the East Coast, Jersey City Employment and Training Program is making strides. JCETP was established in 1998, but they recently modernized the facility in order to enhance its effectiveness. Former Gov. Jim McGreevey is the executive director of the program and has gained the support of Mayor Steve Fulop and Jersey City through a partnership created to make high recidivism rates a thing of the past. There are re-entry programs nationwide, but there are significant differences between the re-entry programs of the past and the new comprehensive programs popping up across the nation, like TRRC and JCETP. These newer programs offer everything from living spaces, drug-treatment programs and job training to legal advice, Medicaid and welfare counseling. Placing all of the programs under one roof makes the transition that much easier for the residents. By incorporating these extras into the facility, it becomes a supportive environment where you work together with the different programs to gain success overall. The programs are designed to help offenders succeed in all parts of their lives when they return to their communities. TRRC is unique in a variety of ways, but the main distinction comes from workforce development. Information from the Urban Institute show that offenders "who held a job while in prison and those who participated in job-training programs while incarcerated had better employment outcomes after release." In addition, those who were able to obtain employment following their release had lower recidivism rates. At TRRC, there are two major workforce development programs: Roadmap to Success and an occupational food services program. Roadmap to Success is a job training program offered to give residents the skills needed to find and retain employment. The training curriculum targets in on soft skills development and job readiness, and focuses on each resident’s strengths to prepare them for the workforce. The occupational food services program gives the released offenders the opportunity to gain skills in a specific trade. On-site at the Tacoma facility is a commercial kitchen for the residents to learn the skills to plan, prep and cook. The program participants prepare food for the facility, but the program is also a working enterprise, so the participants do catering and other outside events. One unique aspect of the workforce development programs at the facility — it is open to the public. Area residents can even utilize the job-training services offered at TRRC. Approximately "65 percent of the nation's inmates meet certain medical criteria for substance abuse and addiction, but only 11 percent received treatment for their addictions," according to The Nation's Health. Some of the offenders were in prison because of drug-related crimes, but they are not the only ones who have drug or alcohol problems. Offenders in prison on completely unrelated charges could still have addiction problems, and they have been overlooked in the past. "If a resident is found to have had a past history of substance abuse, they participate in the relapse prevention program," said Nanette Sorich, public affairs manager of Pioneer. "Men and women released to TRRC who have been identified by the Federal Bureau of Prisons as having ongoing drug and alcohol problems are referred to participate in the community treatment services (CTS) program taught onsite by Pioneer counselors." The drug-treatment programs offered through JCETP were made possible by the Facing Addiction Task Force created by Gov. Chris Christie. This task force was created to "prevent and treat the disease of addiction with a comprehensive and multifaceted approach," according to the state of New Jersey website. The task force was not created specifically for the treatment of offenders, but it has made a huge impact on treating the disease in the prison system since its enactment. Government agencies have starting offering addiction programs to the entire community, creating rehabilitation programs in prisons and treating the addiction instead of giving a harsh prison sentence that is not helping the disease. The CDC even recently "granted $20 million to 16 states in an effort to combat the growing number of deaths due to prescription drug overdoses," according to Chelsea Adams on MultiBriefs Exclusive. Drug addiction has become a major concern nationwide, not just in the prison system. However, the prison and court systems do have the power to make a difference. For example, the Brunswick County Treatments Court in North Carolina recently received a grant of almost $1 million to treat offenders charged with drug offenses because "the root cause is often addiction. So the goal of treatment court is to help offenders break their addiction instead of sending them to prison," according to WECT-TV. Prison re-entry programs and the recidivism rate have been a cause for concern, and programs that try to rehabilitate offenders through comprehensive, individualized plans could be the solution the United States needs. From coast to coast, these programs are popping up, changing the way offenders are released — and hopefully changing the offenders themselves. Danielle Manley is an assistant executive editor at MultiBriefs. She spends her days creating weekly B2B news briefs for a wide variety of industry associations, and she also works with those associations to effectively communicate news about the industry and about the associations themselves to members. Danielle began her career at MultiView as an intern in 2012 and has advanced within the company ever since. While Danielle worked her way up to her current position, she also participated in other company initiatives like news briefs exclusive original content submissions, MultiView blogs and more.